A realistic but modern sculpture of the common Burchill’s Zebra. 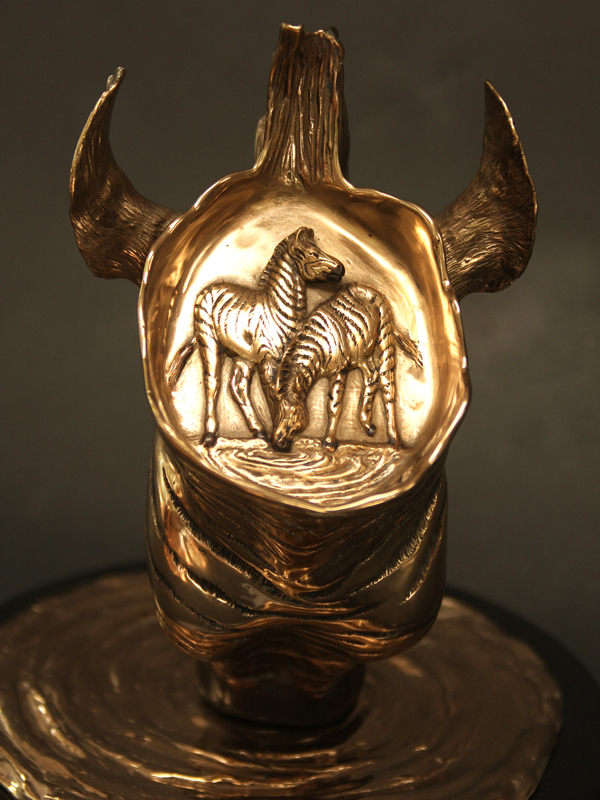 The punda milia, its swahili name, is another of Doug’s African favorites. 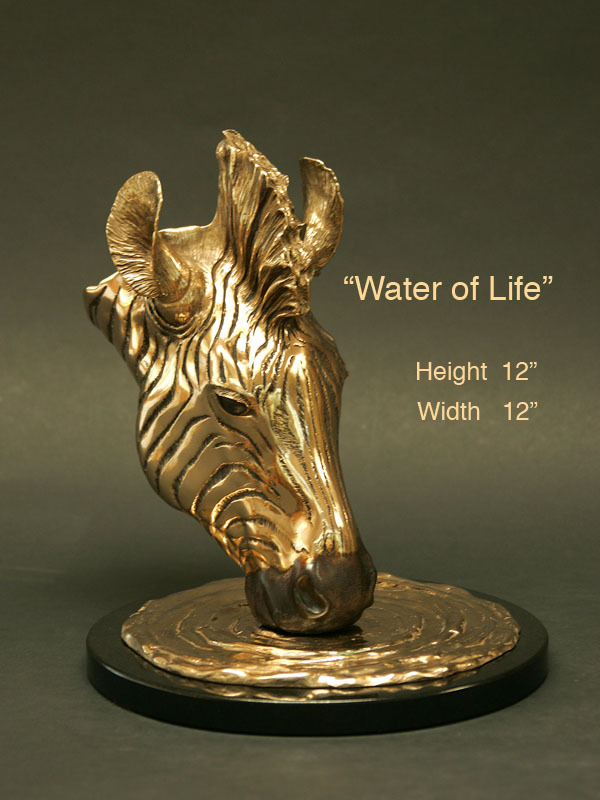 With the highly polished bronze, dark accents for the stripes, and a sculpted relief of two zebras drinking on the back of the head, this piece is stunning from all sizes. This entry was posted in AllPosts, Sculptures. Bookmark the permalink. © 2013 All Rights Reserved. Douglas Van Howd Studios.